1. Dissolve yeast in cold water. 2. In a large bowl, mix the flour, salt and sugar. Mix well with a spoon. 3. Add the mixture of water and yeast in the bowl and knead well. 4. If necessary, add more flour. 5. Finally, add the olive oil. Sprinkle the surface with flour and work the dough until it pulls away from the table and hands. 6. Let it stand for 1 hour or until doubled in size. 1. After the dough ferment, remove all the air from it. Knead in a greased surface with little oil. 2. put flour on the surface, it will open the dough. Roll the dough. 3. 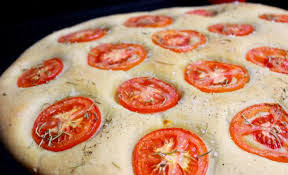 Preheat oven (200 ° C) and bake the dough until it is firm. 4. 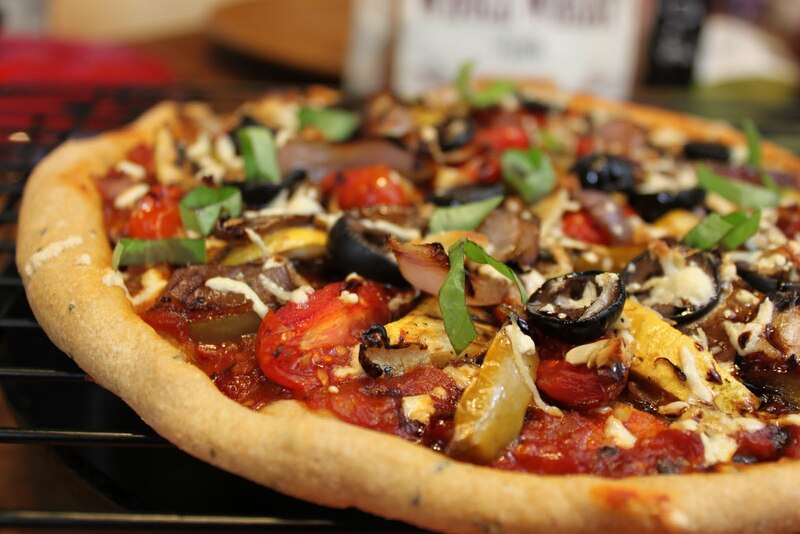 Remove the dough from the oven and fill with tomato sauce, vegan sausages, dried tomatoes, olives, onion, black garlic and oregano. 5. Bake again until the dough is golden brown. 6. Drizzle with little olive oil and serve immediately. 2. Sift the flour and sugar. 3. Add the remaining ingredients and blend in a mixer at medium speed until liquid and smooth. Finally add the baking powder. 4. Place the dough in the baking tray and bake for 30-40 minutes or until golden and when pricked with a toothpick comes out clean. 5. Let cool and unmold. 6. 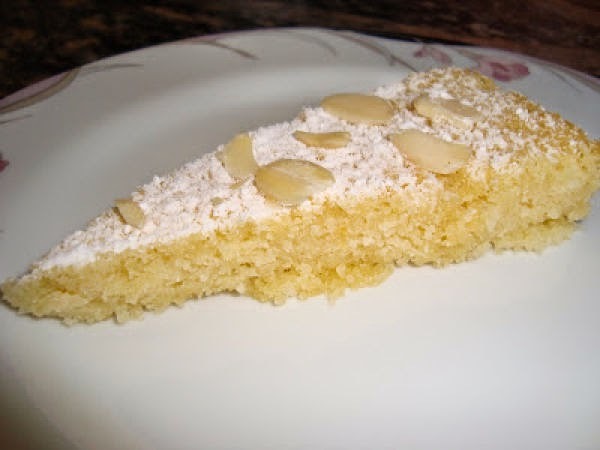 Finish by sprinkling icing sugar and almonds. 1) Mix the whole wheat flour, salt and baking powder. Reserve. 2) Beat butter fat palm with sugar until you get a thick paste. Add the orange zest and the milk plant. Mix well, until smooth. 3) Add the dry mixture of sugar and the butter. Knead the dough well, better if with hands. 4) Finally, add the chocolate chips, mix well. 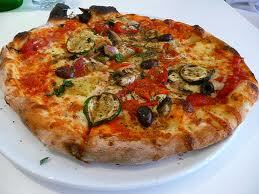 5) Leave the dough in the refrigerator for 30-60 minutes (the colder the dough is, the better). 6) Preheat the oven to 180C and line two baking sheets with baking paper. 7) With 2 teaspoons, model balls with the dough and place in the form. With the aid of a fork, slightly flatten cookies. 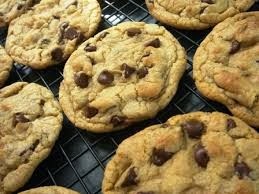 8) Bake for 10-15 minutes or until edges of cookies remain slightly darker. 9) Wait 5-10 minutes to remove cookies form. Will be soft and may break. 10) Let cool on a grid and store in capped pot, room temperature. 1) Heat oven to 180 º C. Put the entire seitan at an ovenproof platter. 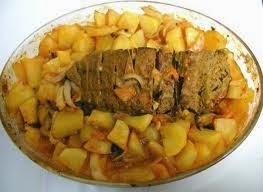 2) Around put the potatoes diced and sliced ​​carrots. Make a few strokes on top of the seitan and spread with chili paste. 3) Mix olive oil with chopped garlic, pepper, bay leaf and the rest of the chili paste. Pour this sauce over the seitan, potatoes and carrots. 4) Board a cup of water and bake for about an hour. Go controlling the oven to see if it is not getting too dry. If so, one may add a little water. 1)Thoroughly clean the mushrooms . The fresh version comes very dirty. If you have a brush , wipe them with her very carefully not to damage them . Cut them into thin slices , set aside. 2) Fry the sausage and vegetable in a non stick pan , until nicely crisp. Reserve. 3) In a large pot , place oil , onion and garlic . Saute over low heat until everything is nicely browned . Increase the flame and add the portobello mushroom , let cook until it wilts . Stir carefully since the portobello break easily . 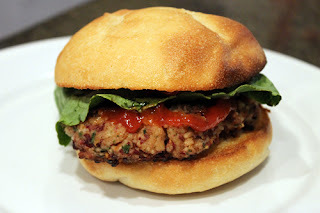 4) Add the seitan , vegetable sausage , and pts . Season with salt , pepper , coriander and pepper finger girl. 5) Lower the heat and add the black beans . Let cook in pan for 15 minutes semi capped . Stir from time to time and check the seasoning . 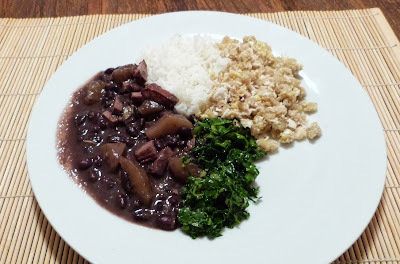 6) Serve with rice , "farofa" and steamed cabbage. 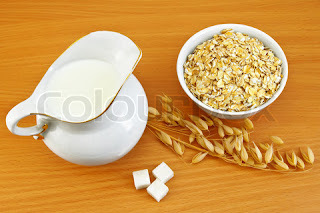 1) In a bowl mix the sugar, yeast and water (60ml). Leave aside until bubbling. 2) Add flour, olive oil, salt and remaining water (200ml). With the whisk-shaped hook, knead the mixture until the dough is homogeneous and elastic (4-5 minutes) or transfer to a lightly floured surface and knead until a homogeneous mass and not sticky, about 10 minutes (do not add more flour to the dough, it is very soft). 3) Transfer to a large bowl greased with olive oil, cover with plastic wrap and let double in size (1 hour). 4) Line a large baking sheet with foil. 5) Transfer the dough to the prepared pan and, using your hands, format it into a rectangle about 2 fingers thick. Cover with a clean dish towel dry and let rise again until doubled in size (20-30 minutes). 6) Preheat oven to 200 ° C.
7) Press the tomatoes in the bulk. Sprinkle with the rosemary, drizzle with olive oil and season with sea salt and black pepper kingdom. 8) Return to oven and bake until golden brown on the inside, 15-18 minutes. 9) Transfer to a grill and let cool. 1) Preheat the oven to 350ºF. 2) In a large bowl, combine the dry ingredients with a whisk to mix thoroughly. Combine the wet ingredients in a small saucepan over medium-low heat and mix until the margarine is just melted. This mixture should be just slightly warm to the touch. 3) Add the wet mixture to the dry and mix until just combined. It should form a very soft dough. 4) Using a tablespoon, scoop the dough into an ungreased nonstick doughnut pan. Smooth out the top with your fingers―this will make for more even, prettier doughnuts but isn't crucial. 5) Bake for 12 minutes. 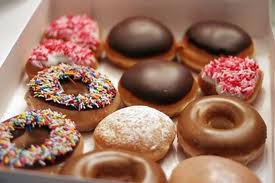 The doughnuts should not be browned on top, but a toothpick should come out clean. Invert the hot pan over a cutting board or cooling rack to release the doughnuts. 6) Allow to cool completely before decorating. Makes 20 mini doughnuts or 10 regular-sized doughnuts. 1) Preheat oven to 180 degrees and grease the cake shape with oil. 2) Mix all the liquid ingredients. Add the sugar, cinnamon (if using) and flour, beat well. 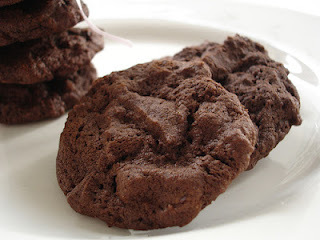 3) Sift soluble chocolate with wheat flour. Incorporate the other mixture, beating constantly until smooth. Finally, place the baking powder and stir until merge. 4) Put the cake batter in the shape and bake. Do not open the oven before the first 25 minutes. 5) When you stick a toothpick in the center and it comes out clean the cake will be ready. Expect to cool to misinform. 1) Place all ingredients in a saucepan and stir well until the soluble chocolate get dissolved in the condensed milk soy. 2) Take over high heat until it begins to boil, lower the heat and cook until thick. Follow the instructions in the package to make the whipped cream. 1) After the cake cool place it where it will be served. Cut it in half (lengthwise). Carefully place the top of cut cake into a plate. Fill with the vegan filling and top it with the cake that was on the plate. 2) Cover with whipped cream with the aid of a spatula or spoon. Refrigerate until ready to serve…. :) enjoy!!! I love this recipe, it is one of my favorites. I love beans and because it is very easy and fast to do i do it all the time. Besides, beans are a very high protein source for vegans. 1 - In a medium pan put a little olive oil, onion and garlic and allow the onion to lightly brown. 2 - Place the fillet soy / tofu cut into small pieces. 3 - Add the beans in tomato sauce. Stir. 4 - Add salt and pepper to taste. 5 - Leave a few minutes and remove from heat. 6 - It's ready to eat! 1 - In a bowl, place the already cold mashed potatoes and 1/2 cup (tea) of sugar. 2 - With the aid of a spatula mix until you get a liquid consistency. If using, add the coconut essence and mix well. 3 - Add the remaining icing sugar and mix well until you get a thick paste. 4 - Finally, add the grated coconut and mix with your hands because it is a very heavy weight. 5 - You can make small balls, bars .... I put the coconut filling in a form and then cut the bars with the help of a knife. 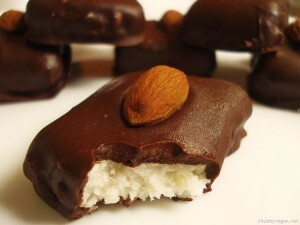 6 - Bathe the bars / candies in tempered chocolate or fractionated (read more about here) and put an almond on top. Let crystallize on a sheet of waxed paper. Very simple and easy right? You can do the bars in any format you like. 1 - In a saucepan put the olive oil. Saute the onion and half the garlic, add the chopped tomatoes and saute until it begins to unravel. 2 - Meanwhile, beat the tomatoes with little water in a blender to make a tomato juice. Add the tomato juice and the carrot (it serves to absorb the acidity of tomatoes) to the pot. 3 - Season with salt. 4- Let ascertain for 10-15 minutes on low heat. Turn off the heat, remove the carrot and add the chopped basil. Reserve in a warm place. 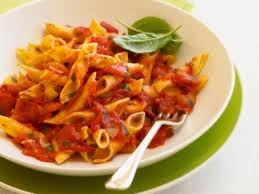 2 - In a baking dish, place the sauce, a layer of pasta, another of sauce, a layer of eggplant .. 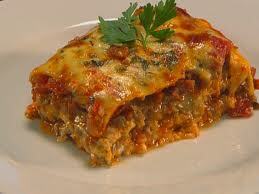 The lasagna is finished with a layer of sauce and beinjela. 3 - Cover with aluminum foil and bake for 30 minutes until it is cooked through and the sauce is bubbly. 1 - Place all ingredients in a blender and hit. 2 - Check the seasoning. 3 - Spread under the lasagna and bake for another 15 minutes to brown. - Beat the coconut cream with a hand mixer, going from low to high speed, until it becomes thick and fluffy. 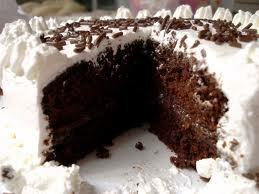 - If you want chocolate whipped cream, add in the unsweetened cocoa powder and beat the whipped cream until it is well incorporated.Chill for an hour or two before serving. You can make other flavored whipped creams by adding in different ingredients! - To make the chocolate mousse, simply melt the chocolate chips in a double boiler (a metal pot or bowl sitting atop a pot of water over medium heat). Stir the chips until they are just melted and silky. Let the melted chocolate cool a bit and then add it to the whipped cream. Fold it in gently so the whipped cream stays light. Spoon the mixture into serving glasses and refrigerate for at least an hour or until it sets up. Top with whipped cream, chocolate chips or your other favorite toppings. Enjoy! Is a very simple and delicious recipe. There are only two cares that should be taken in this recipe: cut 1cm thick slices and let tofu marinate for at least 12h. The flavor of basil vinegar make ​​all the difference and you can experiment with other types too. 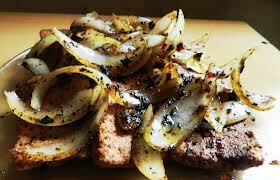 1 - Make marinade by mixing all ingredients except the tofu and onion. 2 - Place the tofu in a bowl and add the marinade. Let it stand for at least 12 hours in the refrigerator. Turn in the half the time so the tofu absorbs well the marinade. 3 - Heat well a non-stick pan, add a trickle of olive oil and place the tofu steaks, fry well both sides. If you want the flavor of the marinade stronger after the two sides nicely browned add a little of the marinade until the tofu absorb everything. 4 - Repeat until you run out of tofu. 5 - In the same skillet, place over a thread of olive oil and fry the onion until it reaches the desired point. To me well crisp. Everybody loves the Portuguese sweet recipes. 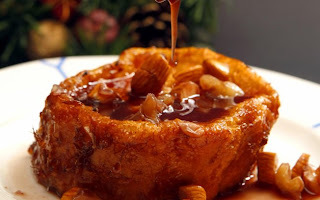 Every year on Christmas's Eve Portuguese traditional families cook Rabanadas and other sweets. Today i leave you the recipe of Rabanadas which i love and it is nothing more than fried bread with very good seasoning! - 12 slices of bread from the day before with about 1.5 cm thick. Put the liquid egg substitute in a bowl. Bring the vegetable vegetable milk and lemon zest in a saucepan on the stove to boil. 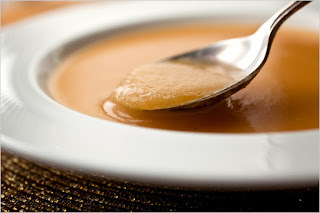 Remove vegetable milk from heat. Dip the bread slices in the vegetable milk, so that they are well soaked and place in a dish. Skip the bread slices in the liquid egg substitute and fry until golden on both sides. Place the Rabanada in a bowl. In a pan, mix the sugar with the water and flavorings and boil until the sugar dissolves completely. Remove from heat and pour the syrup over the Rabanada. Today i would like to share with you a recipe essential in everyone's diet. Since i was little i was obligated to daily eat vegetable soup. It is very nutritive and i believe it should be part of every family feeding. Today i am a grown up and i still eat vegetable soup everyday and i really appreciate it! Sometimes i just eat soup at lunch or dinner with bread and fruit. As a vegetarian i find it even more important for my health. 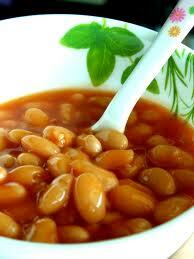 The beans are very important in vegetarians feeding so i usually add it to my soup. It is very simple to do and it takes about 20 minutes! In a large pot place all vegetables except the kale, previously peeled and cut into pieces. Add water and let it cook for about 40 minutes. Spend it all with the magic wand. Add the kale cut into small pieces, olive oil and salt to taste. Leave to boil for another 15 minutes. Remove from heat, serve the soup, cut a clove of garlic into very small pieces and place it on top. Once cooled the soup place it in the refrigerator in a large container. You will have soup available for the remaining days of the week. This recipe is super easy to make and delicious. The garlic is cooked when it is creamy and it goes well with the potatoes. Garlic peel comes out easily and practically melts in your mouth, it's wonderful! - Preheat the oven to 220 º C.
- Wash and peel potatoes, cut into half moon. 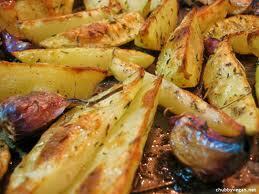 - Arrange potatoes and garlic (unpeeled) on a baking sheet. Season with olive oil, salt, pepper, rosemary and thyme. - Cover with foil and bake for 1 hour to mild or until the potatoes are soft. - Remove foil and return to oven to brown the potatoes. This recipe is simple and can be done with any plant milk. 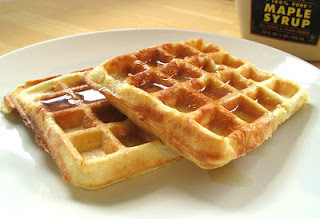 Waffles are delicious and goes well with fruits, cane syrup, maple syrup, ice cream ... It is your choice! If you do not have a waffle maker, you can make pancakes with this same dough! Mix all dry ingredients except the baking powder. Add the oat milk and oil and mix well. Place the baking powder and mix again for 3 minutes, until it is full-bodied. Put a little dough and follow the manufacturer's instructions. Tip: Be careful not to put too much batter into waffle because it grows well. With this you will avoid making dirt! In a frying pan mix a little olive oil with the garlic, onion, cucumber and a dozen bits of pickles cut into very thin slices. Put the two burgers over and let simmering. Go mixing and turning the burgers. Season with salt and a little spicy. On each slice of bread put a slice of cheese and tomato cut into very thin slices. Let them in the oven for about 10 minutes. Remove the bread from the oven, place a burger on top, the mix and a little mustard and cover with another slice. Beat in a blender or mix well the warm water, yeast, sea salt and oil. Mix the two flours and put the liquid over them kneading well. Let rise for 20 minutes. Knead again. Roll the dough in desired thickness and bake in a hot oven. When almost at the point, cover with tomato sauce and the filling of your choice, season to taste and bake in oven to finish baking. - vegetables, exs: broccoli, mushrooms, corn, peas, cabbage, zucchini, tomato, onion, olives, ham vegi, vegi sausage, etc..
- add salt, ginger and spice to your taste. Heat oven to 180 º C. Put 2 baking papers in 2 baking trays. In a small bowl, combine flour, yeast and salt. Reserve. Put 225g of the chocolate with the butter in a bowl in a pan. Stir until melted. Remove from heat and set aside. Keep the water hot. In a large bowl combine the eggs, sugar and vanilla by using an electric mixer. Let it warm in the same pan. Mix eggs with warm chocolate. Then add the flour and the bits of chocolate. Place pastry tablespoons on the prepared tray with enough space to grow. Bake for 12 to 14 minutes until the outside still look dry and bright but the inside is still moist. Remove from oven and let cool for a few minutes in the pan before transferring to a plate and cool completely. 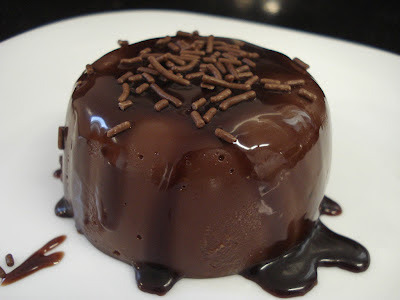 I have tried this pudding and i recommend it! You will love it specially in the Summer. It is very easy to do, being the only inconvenient have to wait for it in the refrigerator.. This receipt is for 2. Dissolve the sugar and corn starch in plant milk. Take the heat and add the chocolate into pieces. Cook over low heat, stirring with the aid of a fue. When it starts to bubble, stir vigorously so it won't burn. Cook for 3 minutes. Remove from heat and add vanilla essence (if using) and mix well. Distribute the chocolate pudding in individual bowls and allow to cool before taking to the refrigerator. Unmold after freezing. 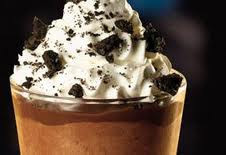 If desired, serve with chocolate syrup and granulated. You will be amazed how good this ice cream is..
You can add sugar but it is already too sweet. That is why a pinch of salt is suggested to cut the sweetness. 1. 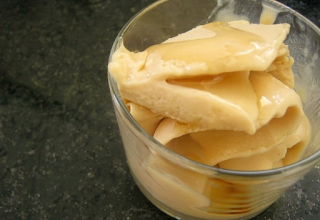 Process the peanuts in a blender until a smooth paste appears. Add the condensed soy, salt and soy cream and beat well. 2. Finally, add the vegetable milk gradually until mixture is smooth and velvety. 3. Leave it in the freezer for 24 hours before consuming. For better results: Hit it again when the ice cream is semi frozen. This process adds more texture and creaminess to the ice cream. Recommend to do it 1 or 2 times. If you desire add chunks of peanut butter or chocolate ice cream. You can buy it at the supermarket or do it yourself! The milk can be kept in a refrigerator for about 4-5 days. Should not overheat, because this milk tends to get thicker. You can use what is left in cakes, cookies, sauces or even as a facial mask! See how to simply bring these ingredients together into a pasta dish.